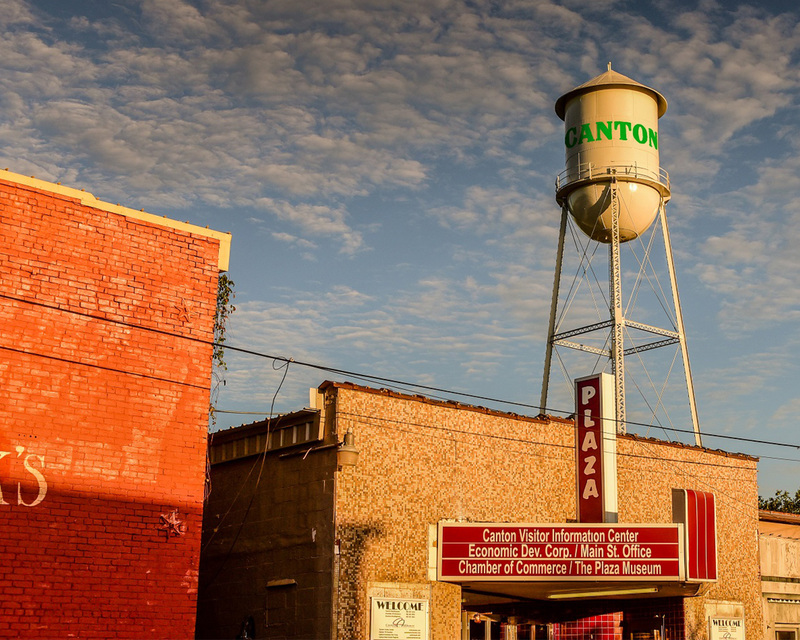 This year the Canton Texas Chamber of Commerce is planning an evening filled with great entertainment, food, fun and recognition of the people who made significant contributions to Canton in 2018. It is important to reserve your sponsorship as soon as possible to make sure you are included in all of the marketing material leading up to the event, but also to get your tickets to this limited seating, highly anticipated event. 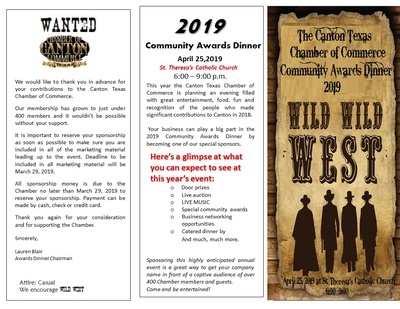 Deadline to be included in all marketing material will be March 29, 2019. 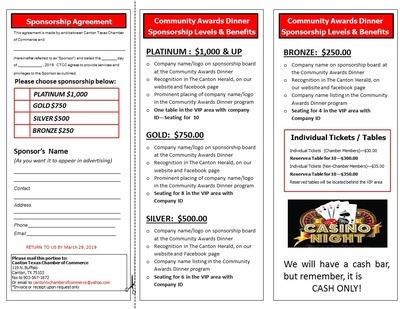 All sponsorship money is due to the Chamber no later than March 29, 2018 to reserve your sponsorship. Payment can be made by cash, check or credit card.